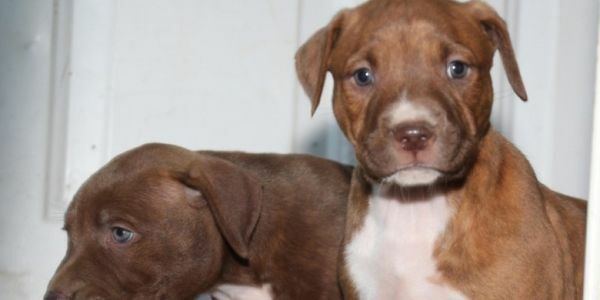 Demand "Just Pups" to be Shut Down for Animal Abuse! On February 29th, three dead dogs were found in the freezer of the "Just Pups" pet store located in East Brunswick, New Jersey. "Just Pups" is a New Jersey chain of pet stores located in Emerson, East Brunswick, East Hanover, and Paramus. The owner of the pet store chain, Vincent LoSacco, has also allegedly exposed puppies in the store to illness, failed to prevent the spread of infection, and failed to supply proper veterinary care. LoSacco allegedly allowed sick puppies to interact with new puppies, resulting in the exposure of illnesses such as giardia, distemper, upper respiratory infections, and other infectious diseases. Even humans were at risk for these germs and diseases at "Just Pups", the state said. The NJSPCA (New Jersey Society for the Prevention of Cruelty to Animals) has already filed at least 267 animal cruelty charges against LoSacco, with more likely to come. The New Jersey Department of Health has temporarily closed the East Brunswick "Just Pups" store after it failed their inspection. However, the store has not been shut down permanently yet. And the other "Just Pups" locations are still open for business. Please sign this petition to demand that the East Brunswick Township Council revoke LoSacco's license for the East Brunswick store and that the NJ Department of Health inspect the other three "Just Pups" locations. UPDATE!!!!!!! ALL 3 PET STORES ARE NOW SHUT DOWN!!!!!!! Please revoke LoSacco's license for the East Brunswick store and inspect the other three "Just Pups" locations. UPDATE!!!!! ALL 3 PET STORES OWNED BY THIS PIECE OF GARBAGE MAN HAVE BEEN SHUT DOWN AND HE HAS LOST HIS BUSINESS LICENSE!!!!!!!!!!!!!!!!!!!!!!!! WE DID IT!!!!!!!!!!!!!!!!!!!!!!!!! I have some good news and some bad news. The great news is that the East Brunswick Township Council voted unanimously to rescind Vincent LoSacco's business license. The East Brunswick Just Pups location has been shut down! The bad news is that puppies under his care are still suffering. Please share this petition far and wide to make sure the NJ Department of Health investigates the other three "Just Pups" locations as well.